Hello! It's time for some christmas cards!! Full instructions are available and can be found HERE. This time I have used the TAUPE (reverse) tiles as my feature.... I have cut them up and layered them up. Lots of close ups of the fussy cut elements and collectables. This is a great christmas collection with traditional colours. There are full step by step instructions available on the blog HERE. Hope you like what I have created. 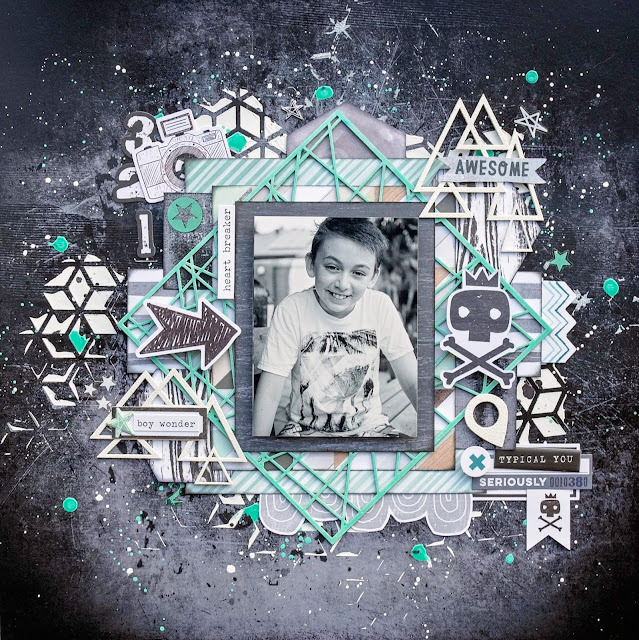 For this layout I have used the 'Ceramic Die Cut' as my base paper. I have also used the specialty 'Gloss Roses" paper, that I have coloured with pencils. I have used the lovely "Rose Cluster' die to cut these pieces. I hope you like what I have created. There are full instructions for this layout, available HERE. I have used a mix of collections for this card, some Airmail and some Writer's Block. 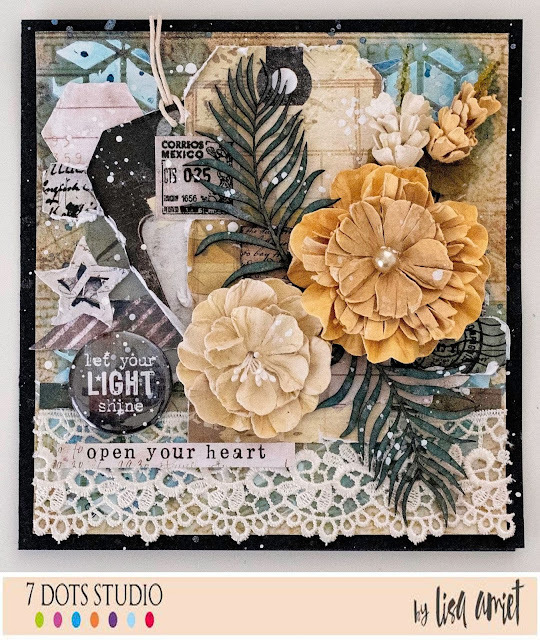 I love the gorgeous tones to these collections and they work so well together. 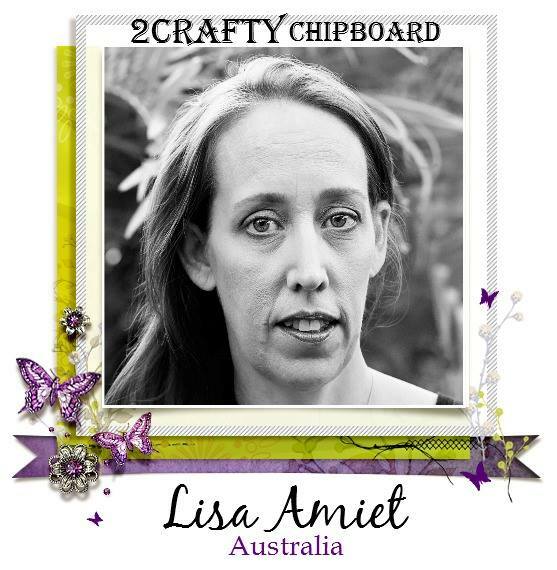 I have also used some awesome 2Crafty Chipboard pieces. You can watch how it all came about in the below video. 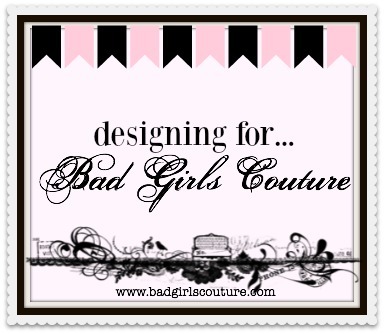 I'm back today to share some 2Crafty loving with you all! I have also used one of the Geo tags from the 'Assorted Mini Camera Set', that I have embossed it white. 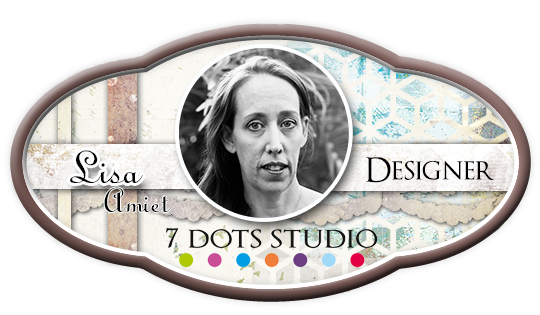 There is a mix and match of some Cocoa Vanilla, Pink Paislee & Pink Fresh studio papers in this layout. I have also used a couple of the 'Triangle Clusters', also embossed in white. I have then added some word stickers to them. I was trying to keep the colour scheme to just black, white, grey and this stunning colour called Placid. A pic of the dimension to the page. Something a little different from me. I have decided to repurpose a little notebook that I had. 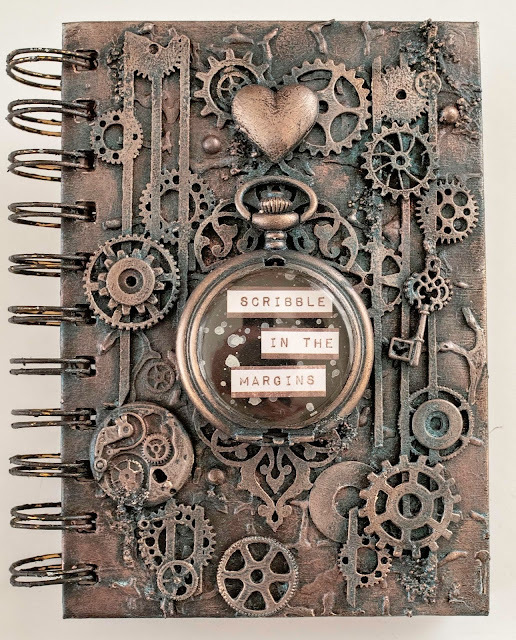 I wanted to go for an aged steampunk feel to this notebook and the 2Crafty steampunk pieces were perfect for this. I have used some of the 'Element Set 1' for behind my pocket watch, in the centre of the notebook. I have also used two of the 'Steampunk Strips', that I have cut up and used on the notebook. I have then used some of the 'Steampunk Gears Medium', to layer across all the base pieces for more dimension and depth. It has all been painted black with gesso and I have used various waxes and paints to give it an aged copper effect. I hope you like what I have created, I had a lot of fun trying my hand at something different.